Cole says in a blog post that he does not agree with the recent trend of rappers facing pressure to apologise when they step over a perceived line, but in this case he went too far in a verse he contributed to Drake's Jodeci Freestyle and now feels "real shame". "To the parents who are fighting through the frustrations that must come with raising a child with severe autism, finding strength and patience that they never knew they had; to the college student with Asperger's syndrome; to all those overcoming autism," Cole wrote. "You deserve medals, not disrespect. I hope you accept my sincere apology." 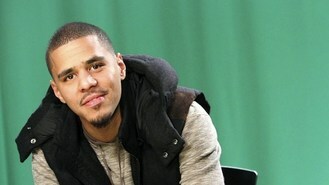 Cole has been in the spotlight after his recent album Born Sinner jockeyed with Kanye West's Yeezus when released last month and reached number one on the Billboard 200 the following week. That album also contains moments that some might consider offensive. In Drake's song, Cole raps that he is "artistic" while his rivals are "autistic, retarded". Cole said that when he first heard a backlash from those who deal with the developmental disorder, he immediately realised he went too far. "I was instantly embarrassed that I would be ignorant enough say something so hurtful," he wrote. "What makes the crime worse is that I should have known better." Cole goes on to write that he is inspired by those who reached out to him. "I have now read stories online from parents about their struggles and triumphs with raising an autistic child and I admire how incredibly strong you have to be to do so," he said. "It's touching. It also makes what I said even more embarrassing for me. I feel real shame."